Art.com’s FAQ-style page has information for US and European customers, but looks like Canadians are out of luck. 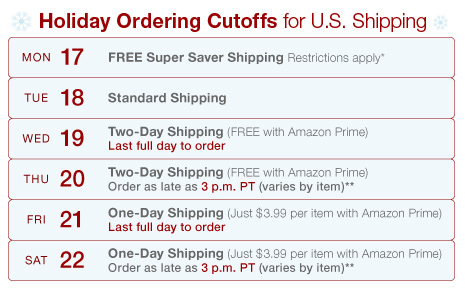 These deadlines apply only to items shipped from and sold by Amazon.com and refer to delivery on or before December 24, 2007. 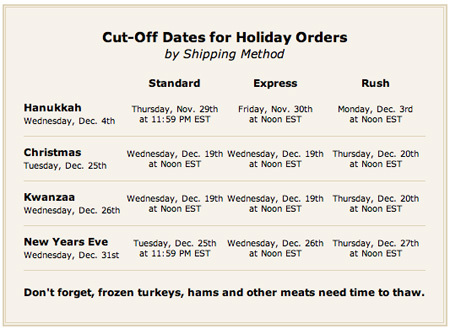 For products fulfilled by other sellers, that seller’s shipping deadlines apply. Check under “Availability” on individual products’ pages to determine the seller. 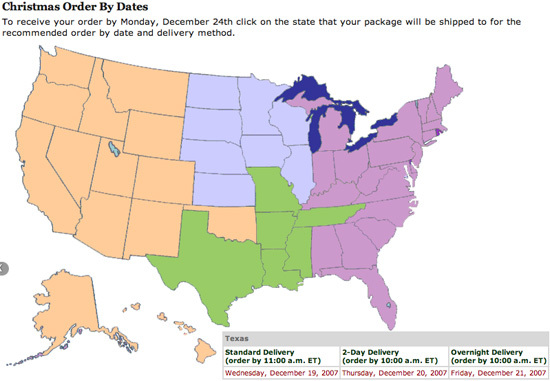 For complete holiday shipping information and information on restrictions, click here. My hunch is most people will read the pretty table and ignore the text below. Just a hunch. 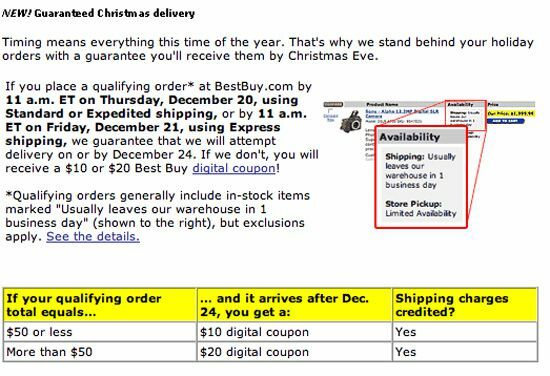 It’s nice that Best Buy will refund shipping on late orders, but it’s also competing with retailers that offer free holiday shipping. But, Best Buy adds to the bottom of its home page a box showing its extended returns policy, complete with a little calendar icon showing January 31 (so you don’t even need to click through to get the gist). Reducing consumer risk and easing online shopping anxieties may influence shoppers to stay on the site for all their shopping rather than checking out competitors’ offerings. 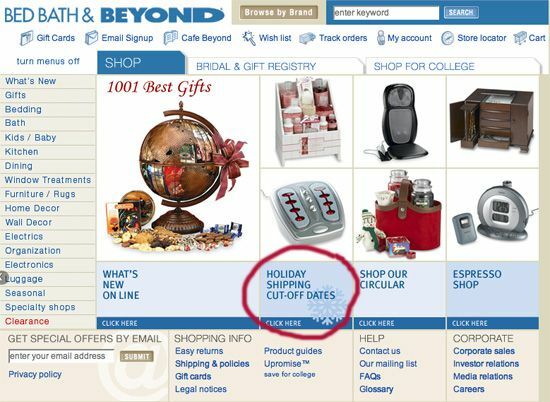 Nordstrom’s shipping details page lists various product categories’ shipping deadlines. 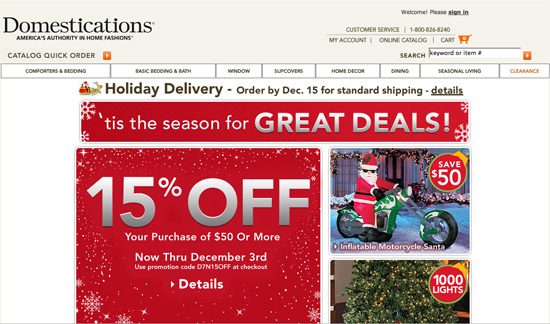 Saks one-ups your run-of-the-mill Free Shipping offer by adding “Rush.” Great value messaging. But did they really have to put 2007 in there? 2. 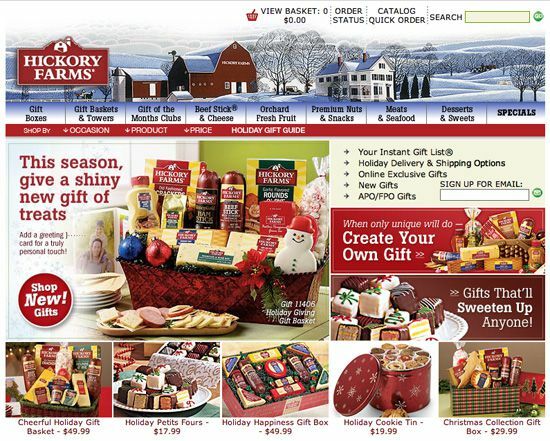 Make sure the information is easy to find on the home page and product pages. 3. Include where you ship on your detail page. If different states or countries have different cutoff dates, make this clear. 4. Clearly state any restrictions. 5. If different products have different shipping times, make sure to make that clear. 6. Include all shipping options: standard, expedited and express. 7. Remember that Christmas is not the only holiday of the season. 1. Offer a guarantee on your schedule. If the order arrives late, issue an e-coupon and pay for shipping. 2. 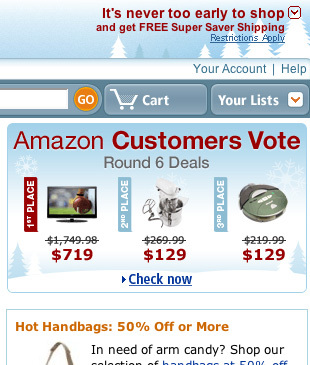 Show holiday return policies on home page. 3. 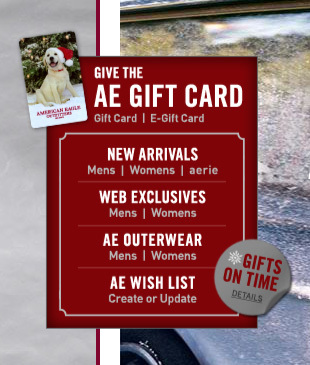 Remind last-minute shoppers about electronic gift card options.